The video tutorials on ECG Academy teach you WHY the ECG looks the way it does. By understanding the physiology, you can analyze complex tracings that don't look like the ones in the textbook. With ECG Academy, you can watch the video tutorials on a PC, Mac, or tablet. Then practice your new understanding of ECGs by watching the practical lessons in unknown ECG analysis we call "ChalkTalks." ECG Academy gives you the confidence to read cardiac rhythm strips and 12-leads independently and show others what they may have missed. 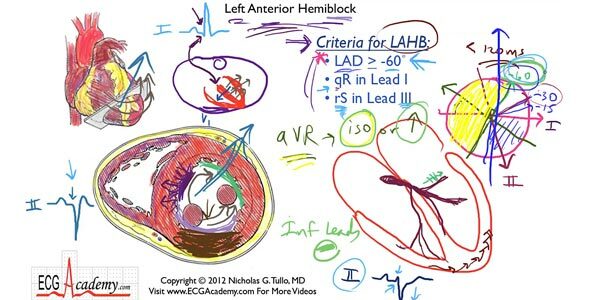 After you have completed the course at ECG Academy, you will have access to weekly "ChalkTalks," 5-6 minute video lessons based on an unknown tracing that teach you step-by-step how to read these more difficult ECGs. Most ECG textbooks are either too basic or too hard to understand. ECG Academy's video tutorials start with the basics, but then show you how to approach complex arrhythmias with confidence. ECG Academy was created by Dr. Nicholas Tullo, a cardiac electrophysiologist and award-winning educator. 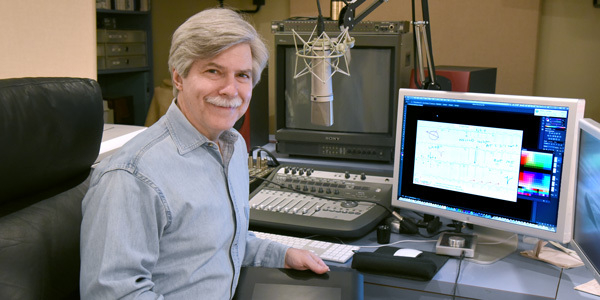 Watch and listen to his video tutorials to Become An ECG Expert! The video lessons on ECG Academy teach the physiology behind arrhythmias... WHY the ECG looks the way it does. You'll be able to look at ECGs in a Whole New Light! 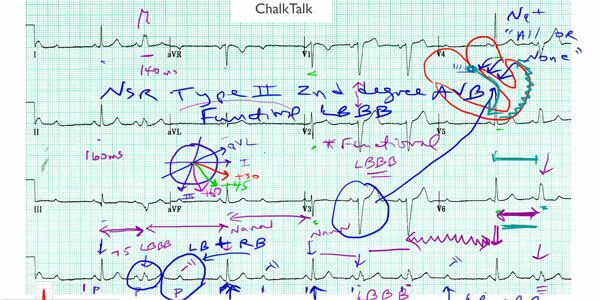 "ChalkTalks" are practical 5-minute video tutorials in approaching unknown rhythm strips or 12-lead ECGs, based on real tracings from real patients. This course includes 9 hours of video tutorials that will teach you how to read an electrocardiogram. This Level 1 course covers rhythm strip and arrhythmia analysis and serves as the foundation for the Level 2 course in 12-lead interpretation. There are also two collections of ChalkTalks included in the course, to help you practice analyzing unknown tracings. The course is presented in 15 sections. Once you complete all sections and pass all quizzes and the final exam, you will have demonstrated mastery of complex ECG Rhythm Strip interpretation.